We can be found in the Village Crossing Shopping Center on the corner of Touhy Ave and Carpenter Rd in Skokie, IL. 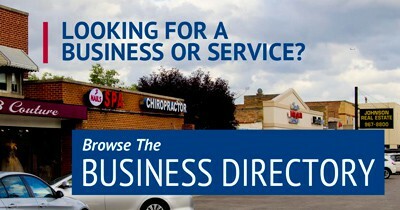 We are located right behind Chuck E. Cheese. 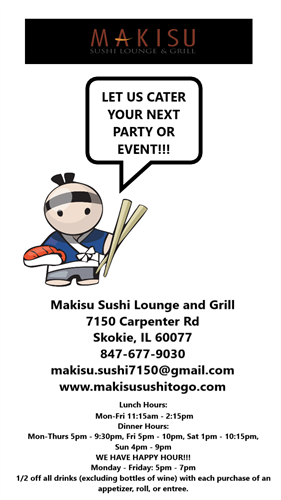 Makisu Sushi Lounge and Grill offers the highest level Japanese cuisine to the near north suburbs of Chicagoland bordering Skokie, Lincolnwood, Niles, Edgebrook, Sauganash, and Edison Park.